Update: Cornell’s death has been ruled a suicide by hanging. Iconic Soundgarden and Audioslave frontman Chris Cornell is dead at 52. The New York Times reports that Cornell died last night after a show in Detroit. The singer’s death was unexpected and officials are currently working to determine the cause. Chris Cornell’s band Soundgarden rose to fame as one of the leading acts of the 90s grunge boom. The band’s metal-tinged sound was complemented by Cornell’s distinctive wail on hits like ‘Black Hole Sun’ and ‘Rusty Cage.’ Cornell also worked with the supergroups Audioslave and Temple of the Dog (who recently completed a reunion tour). 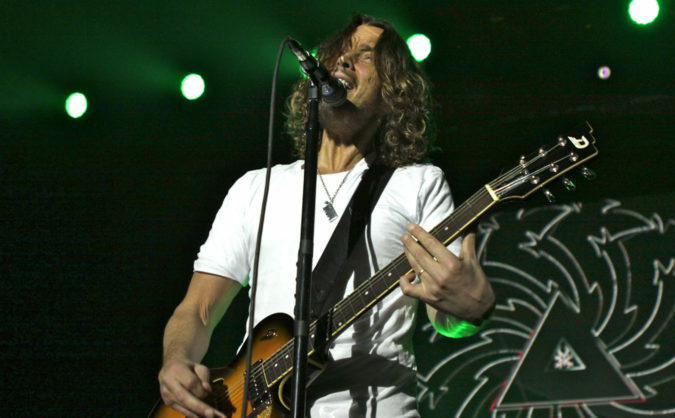 Soundgarden performed at Detroit’s Fox Theater on Wednesday night.